A firework of guest musicians and some re-recorded "Oh Mercy" outtakes, such as "Born In Time" and "God Knows". 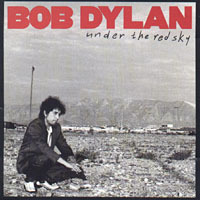 "Unbelieveable" was released as a single with an ironic video featuring Dylan in the role of a relaxed limo driver ("LSD" on the license plate). And "T.V. Talkin' Song" is Dylan's contemporary answer to his talkin' blues of the early 1960s.